Post Impressionism was the period just after the impressionist era. In paintings, colours were still bright, but the shapes were more focused and sometimes even outlined. This painting is called Still Life With Skull. 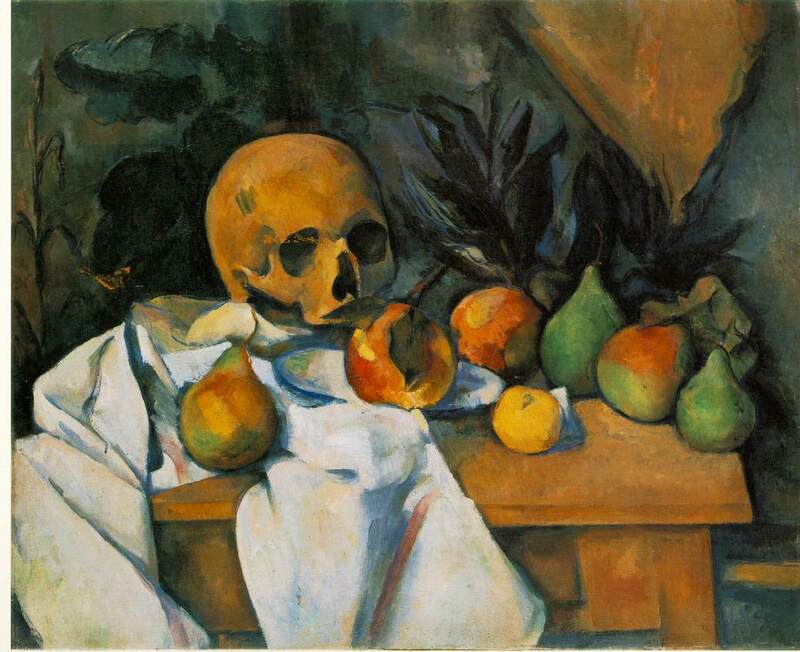 It was painted by Paul Cézanne. Cézanne took five years to paint it (1895 – 1900). Paul bridged the gap between impressionism and post impressionism. In the mid-1860’s, he met Camille Pissarro. Pissarro was a renowned impressionist painter. They became friends. Many years later, a cold October in 1906, Paul Cezanne was working in the field. Suddenly, rain started to pour. He worked for two more hours before deciding to go home. On the way, he collapsed. He was taken home by a passing driver. Four days later, on the 22 of October 1906, he died of pneumonia. 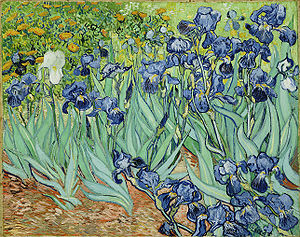 This painting is called Irises. It was painted by Vincent Van Gogh in 1889. Near the end of Vincent Van Gogh’s life, he went crazy. It started with emotionaly unstable fits, then escalated when in one of his fits, on December 23, 1888 he pursued and threatened his friend Gauguin with a knife. Later that day, back at his house, Vincent cut off a piece of his ear. Afterward, Gauguin left swiftly for Paris. Out of fear for damage he could cause to himself and others, Van Gogh self-admitted himself to Saint-Paul asylum. Post Impressionism has many stories behind the paintings.